Google Gear: What, that’s not a Google shirt! Apparently when you buy a company you really do get all their assets, including the shirts off their back. 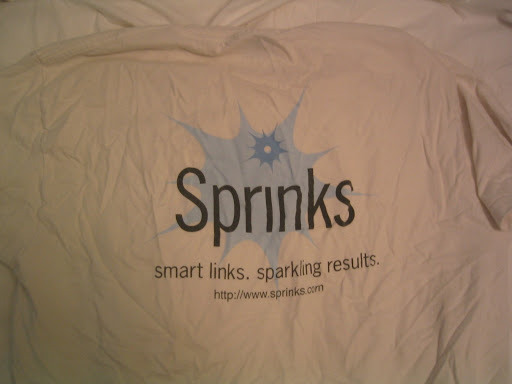 A few years ago Google acquired Sprinks, a competing ad network. Shortly thereafter some random boxes of Sprinks promotional gear showed up. This entry was posted in google, googlegear. Bookmark the permalink.